The sun was rising and it wasn’t yet too-hot as I made my way to get a motorbike taxi to work. I found myself walking behind this monk and something in me wouldn’t let me push past him so I just had to chill out and stroll along. I guess he has a zen effect on people even when he’s not trying. 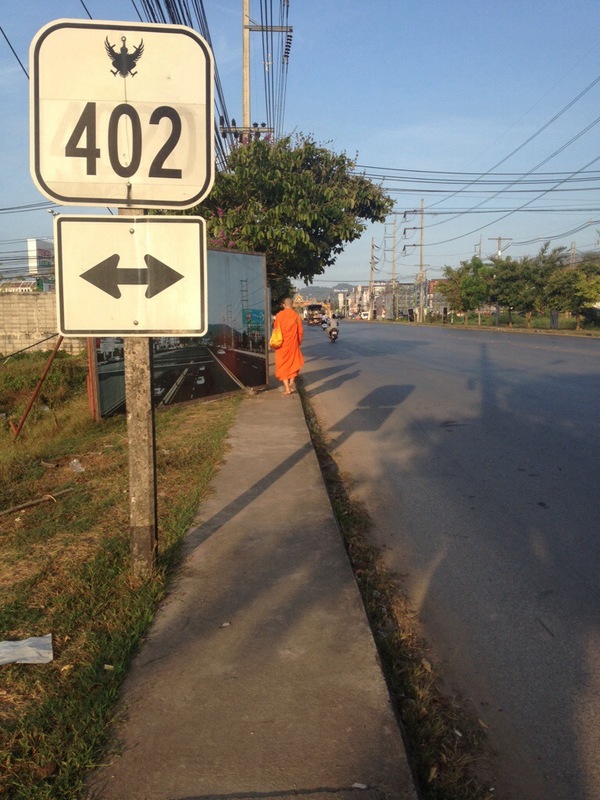 Posted on March 26, 2014 October 11, 2014 by cornishkyliePosted in Day to day life, Phuket, Random thoughtsTagged monk, phuket, Thailand. Previous Previous post: Where did all the free time go?! A good shot and I like the description of how you feel. I can understand.